Every night, patrollers walk the railway lines to check on the condition of the tracks. Running rails (rails on which the train wheels are supported and guided) are important assets that may affect passenger comfort, journey time or even the safety of operations if they are damaged. As running rails are subjected to wear and tear, capturing and analysing rail-wear data allows efficient and more timely planning of long-term running rail asset renewal. These inspections, when done manually, are time consuming and can be physically straining for staff. 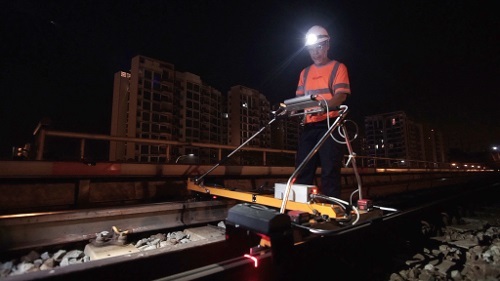 In a bid to improve the effectiveness of rail inspection, SMRT Trains’ Maintenance Permanent Way team worked with GRAW, a measurement-systems vendor to develop a custom-made measurement device, known as the Laser Track Trolley to allow quicker, continuous and more accurate inspection of the running rails. The Laser Track Trolley measures not only running rail wear but also track geometry data at the same time. It improves data coverage and reduces the number of operations required for inspection. Data collected is then recorded in an integrated control panel and subsequently synced to its software for analysis by the engineers. Incorporating the Trolley into SMRT’s maintenance regime has enhanced productivity by freeing up valuable track access for other maintenance and renewal activities. With its modular, portable and user-friendly design, the Laser Track Trolley allows running rail inspection to be conducted efficiently. The Laser Track Trolley initiative has improved the safety and workplace health of SMRT maintenance staff. What’s notable is that the Laser Track Trolley can be flexibly deployed on other rail networks. SMRT is also exploring possible ways of adapting the same technology for maintenance of other critical rail assets such as the power rail, track foundation and tunnel infrastructure. 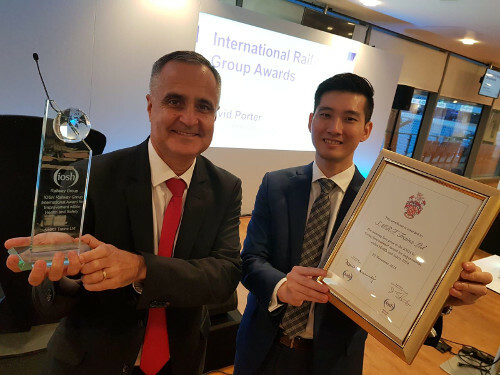 On 20 Nov, 2018, the Permanent Way division of SMRT Trains won the Institute of Occupational Safety and Health (IOSH) International Railway Group Award 2018 for Improvement within Health and Safety. The award was given in recognition for their maintenance initiative of the Laser Track Trolley, which has enhanced infrastructure asset integrity and improved workforce safety and health.